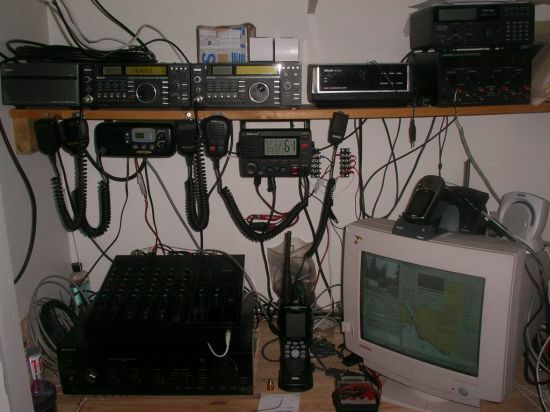 Next, I was hoping to use the VHF´s NEMA out as a repeater for the NEMA from the GPS - but unfortunately the VHF only transmits NEMA when there is a DSC Distress Alert - not all the time :( so I´ll eventually need to rig a second serial Port into my PC to get the DSC alerts. For now I just spliced into the NEMA from the GPS and have that going into Nobeltec - just to give it a signal and prove the concept. So i´m happy for the moment - and ready to watch what happens as sun continues to bring out the boaters... should be an interesting summer.